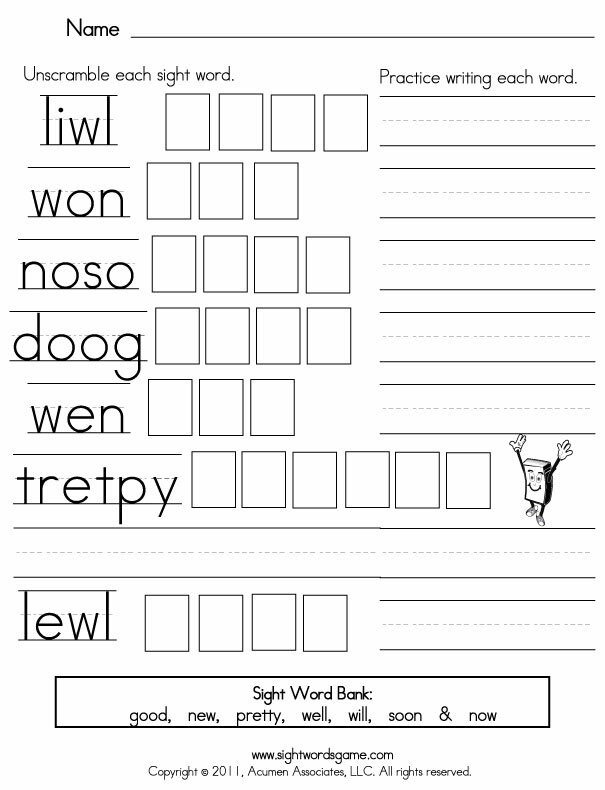 Edward William Dolch, Ph.D. compiled a list of commonly used English words that must be learned, so they can be automatically recognized upon sight. 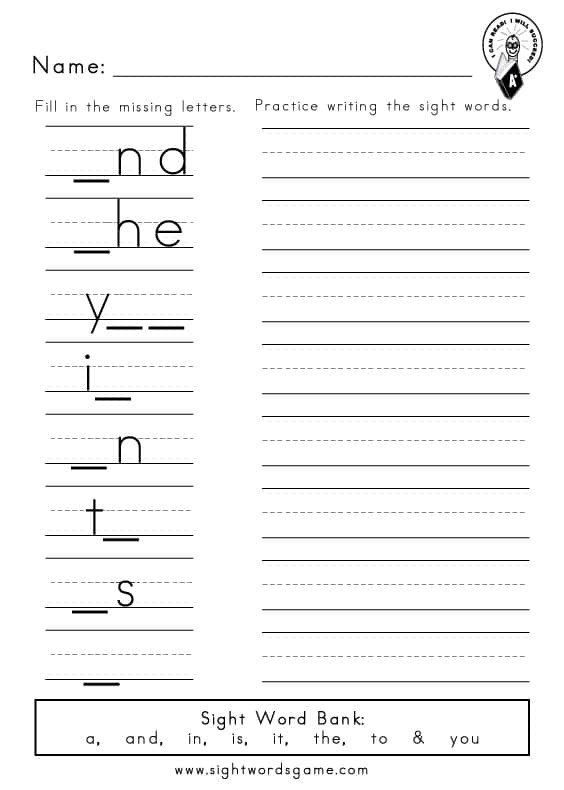 He categorized these words into five categories: preprimer, primer, 1st grade, 2nd grade and 3rd grade. 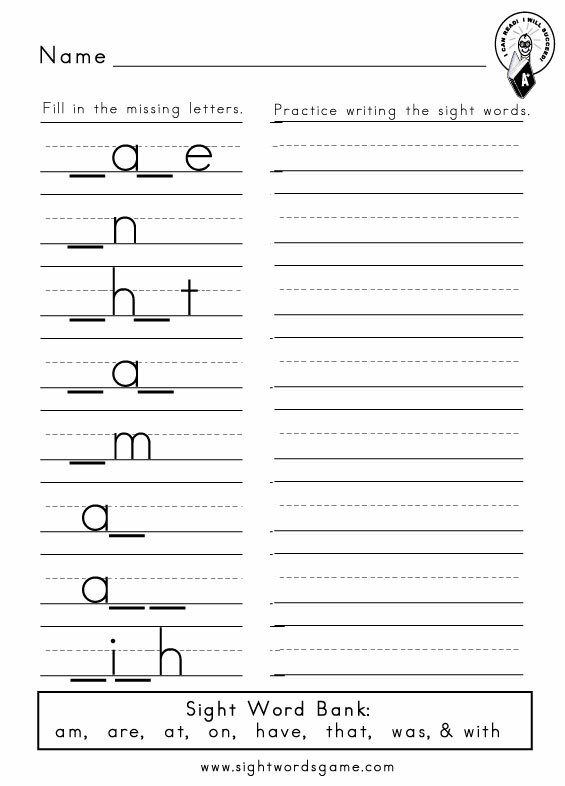 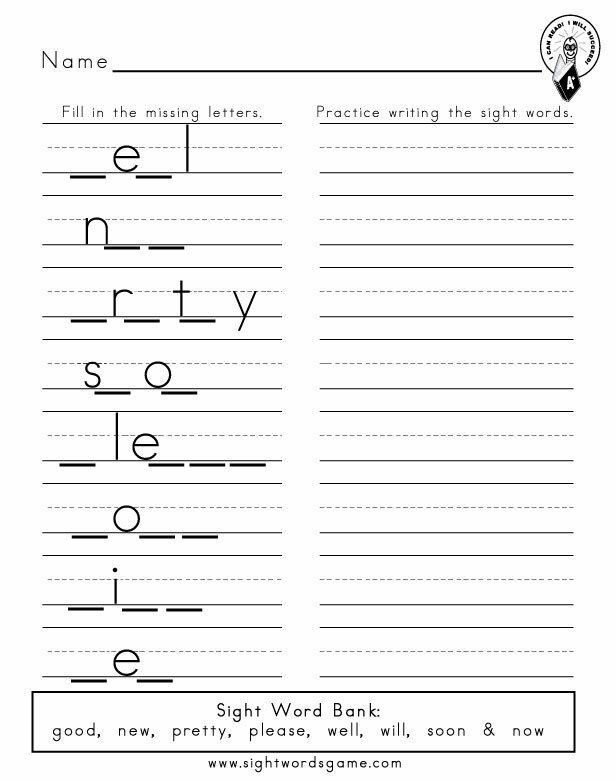 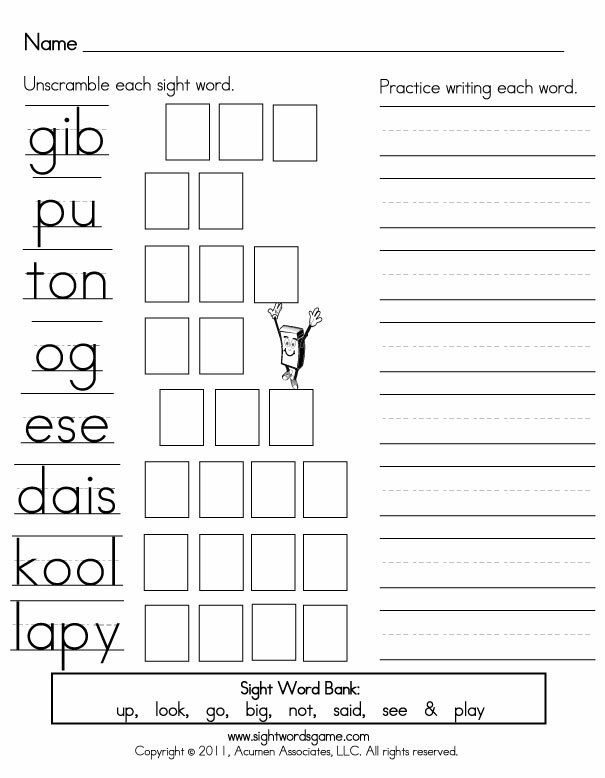 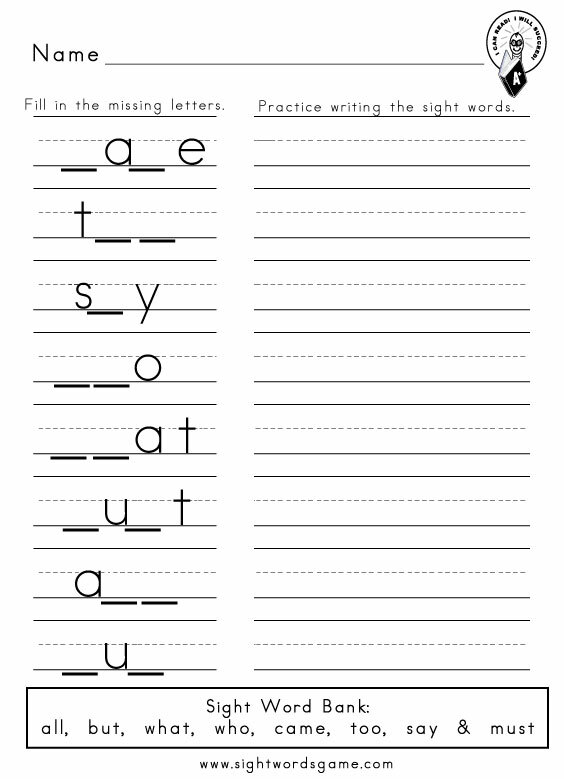 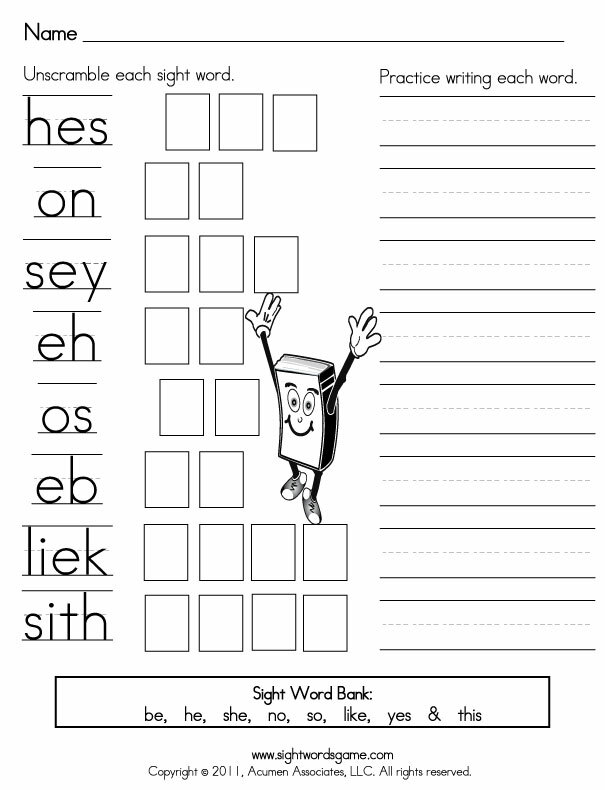 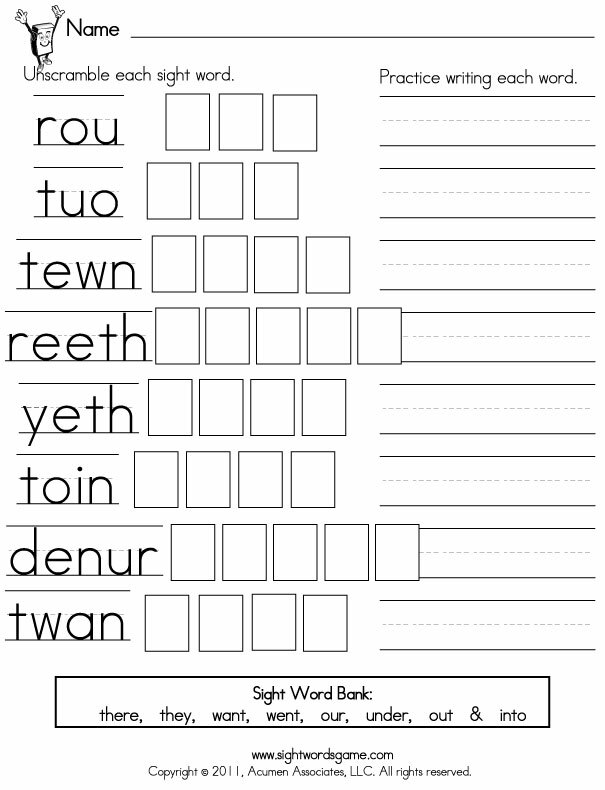 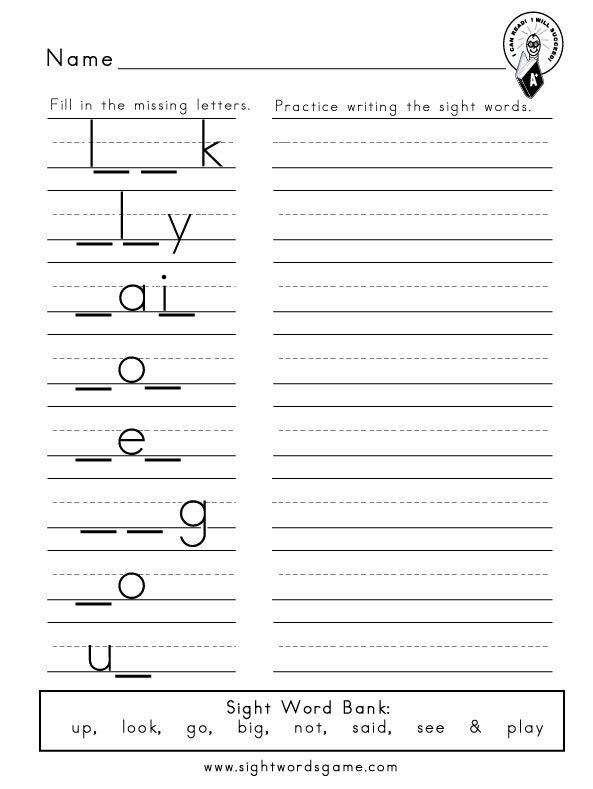 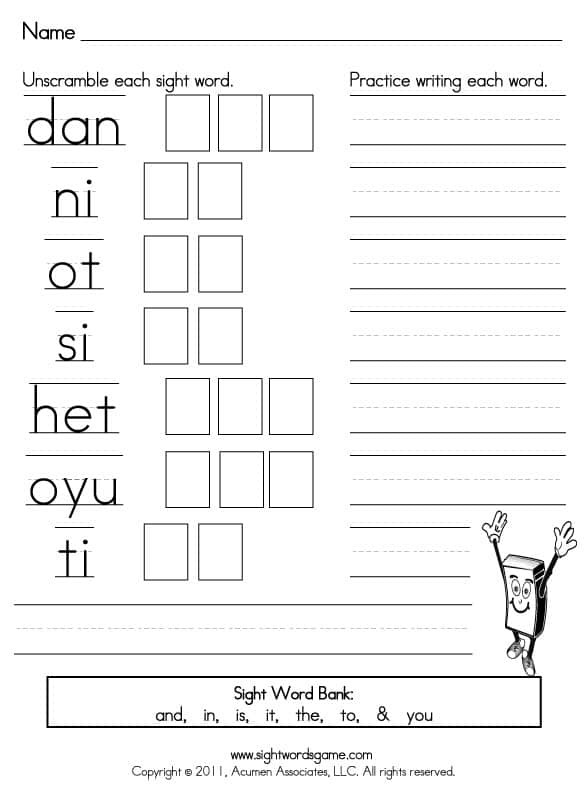 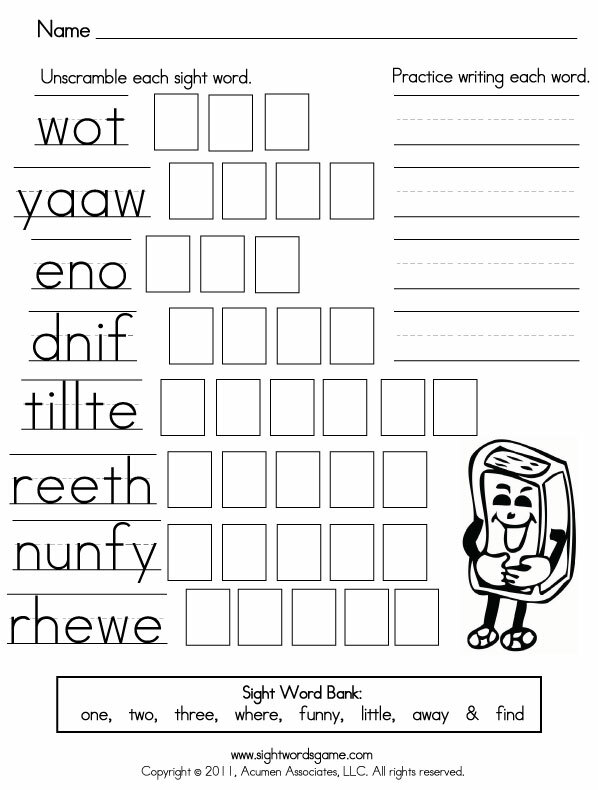 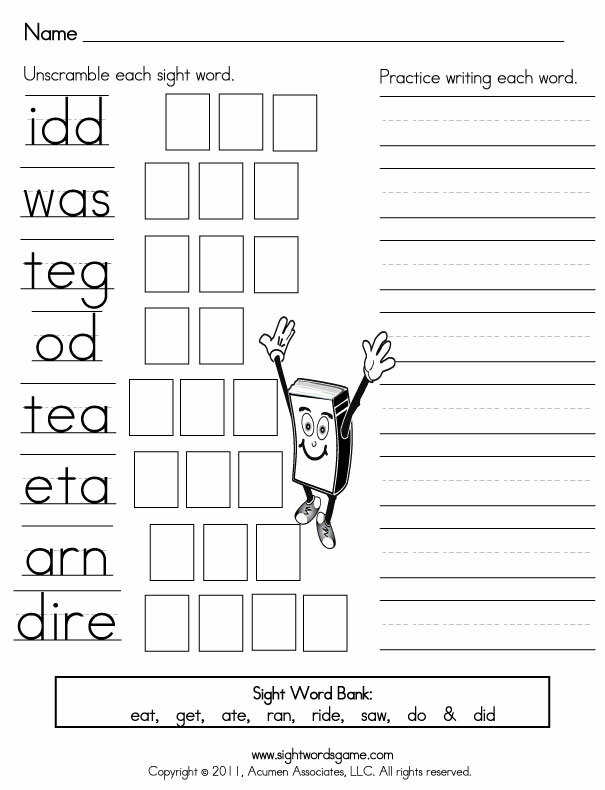 We created FREE Dolch sight word worksheets to help a child develop a sight word vocabulary. 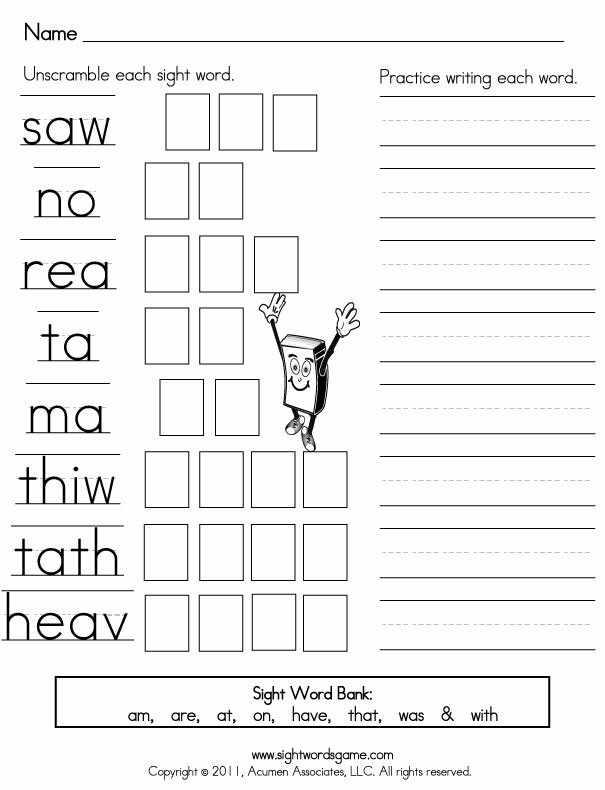 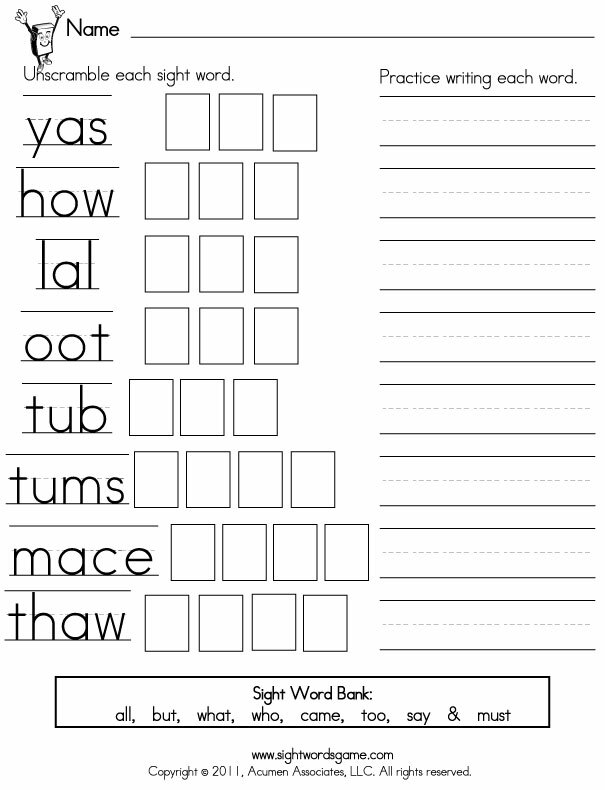 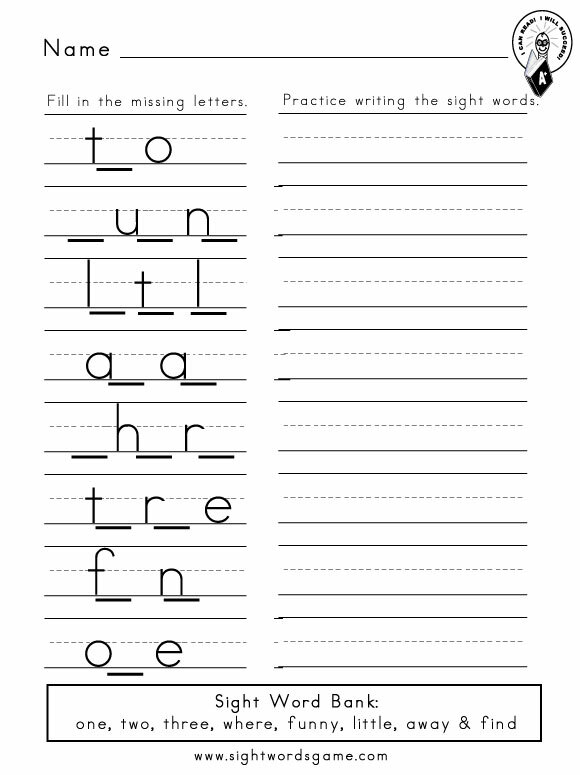 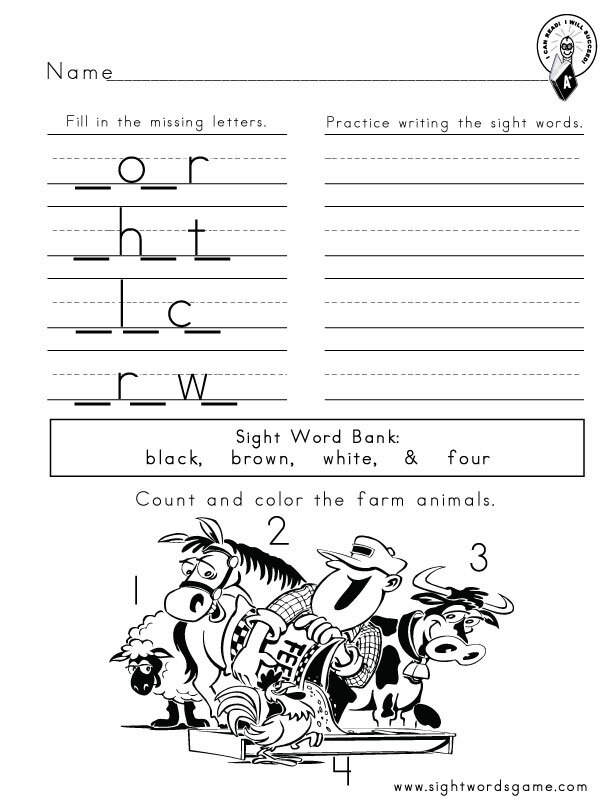 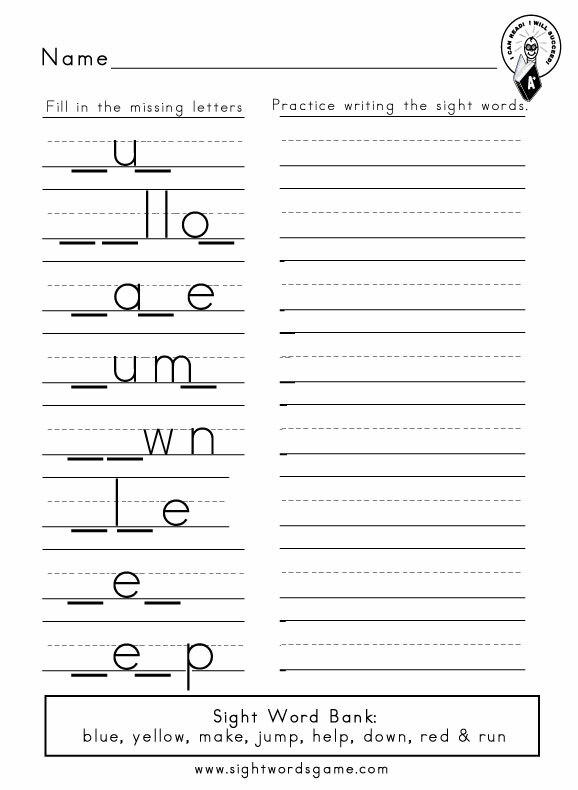 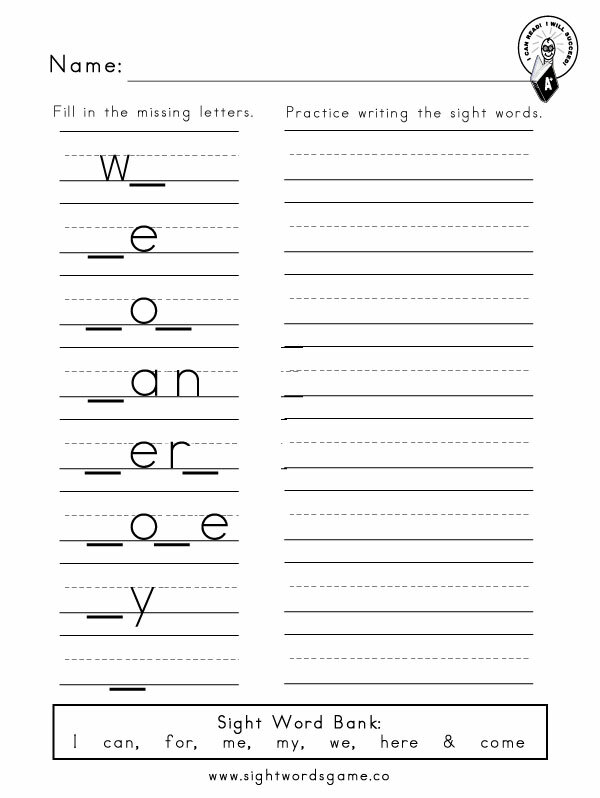 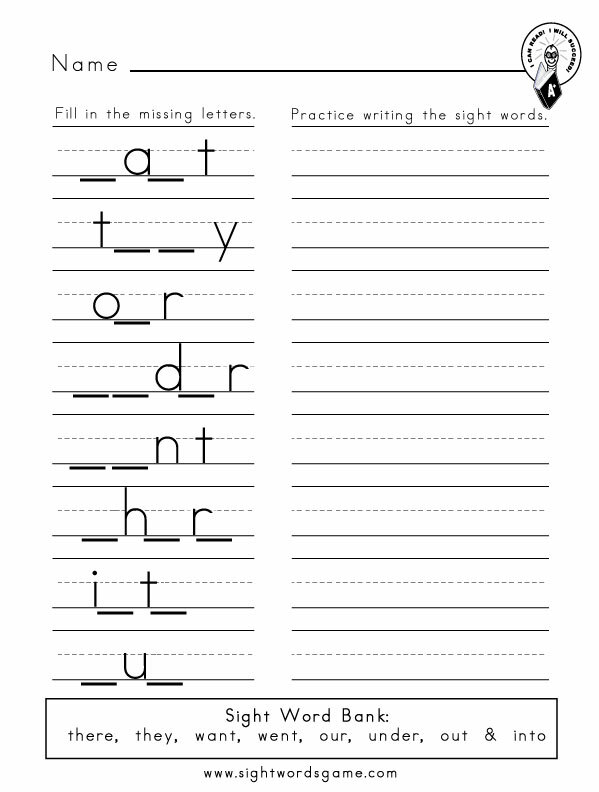 We offer two types of worksheets: sight word soup (fill in the missing letters) and scramble (unscrambled each word). 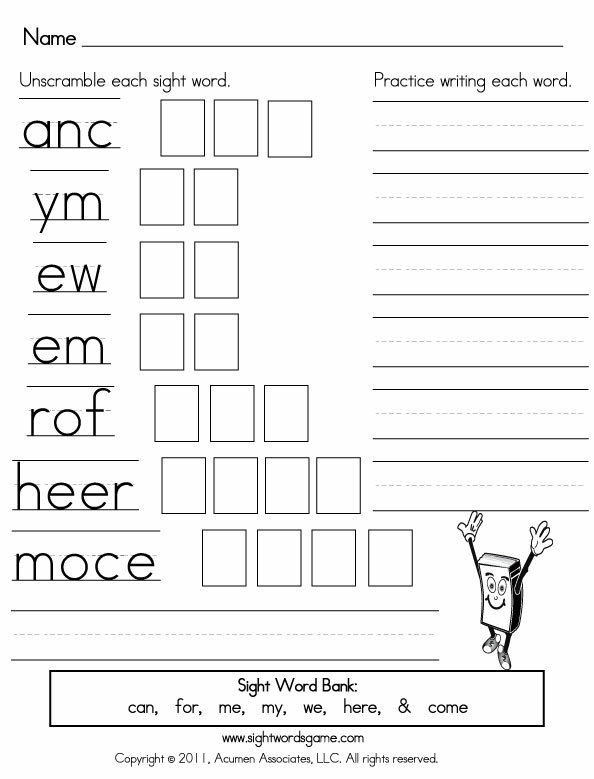 These fun worksheets encourage children to play with the individual components or letters of each word. 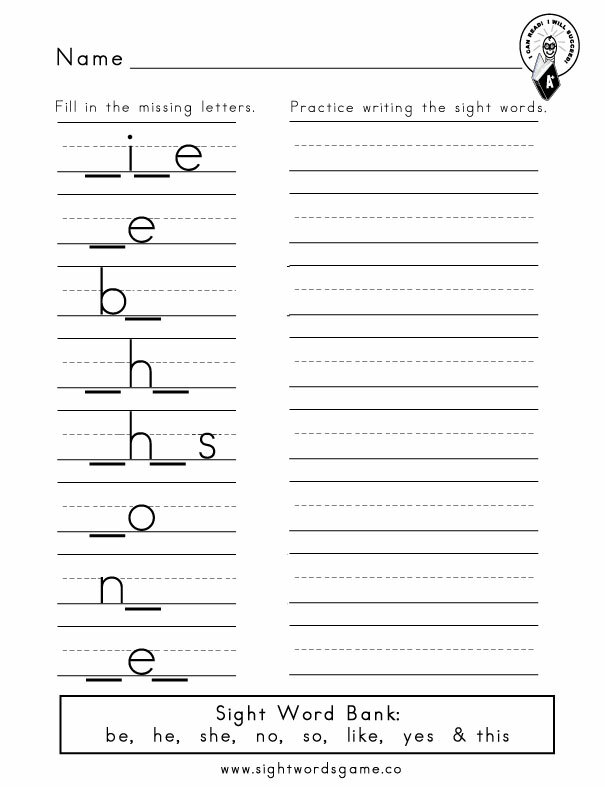 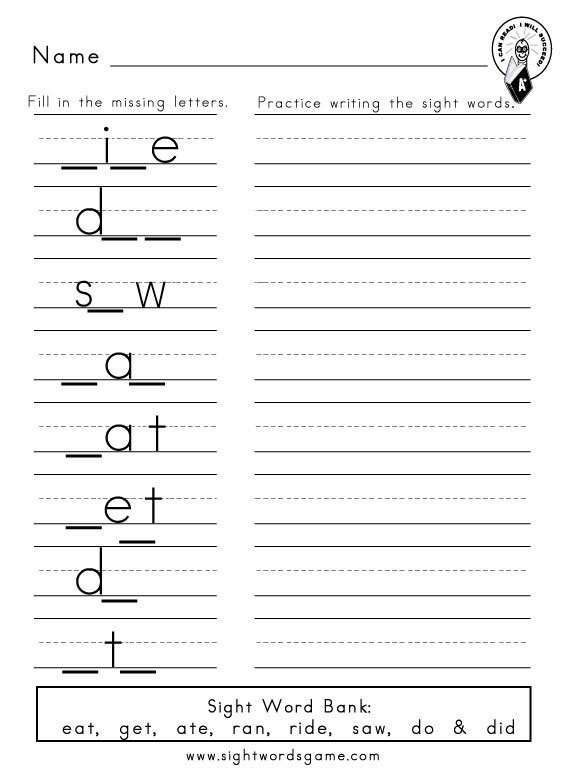 Click on a word to obtain a PDF practice page that focuses specifically on that sight word. 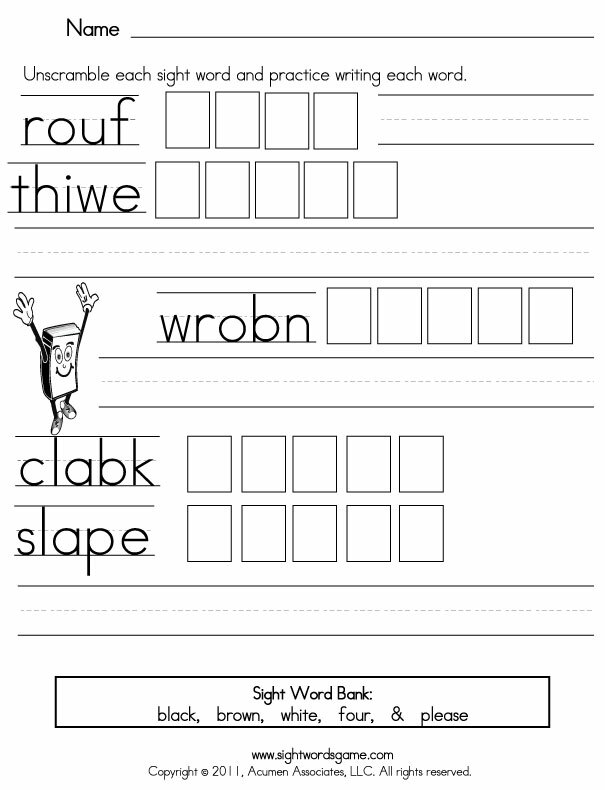 Each worksheet encourages a child to trace, write and say the sight word aloud.